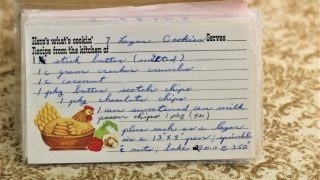 Front of the recipe card for 7 Layer Cookies. 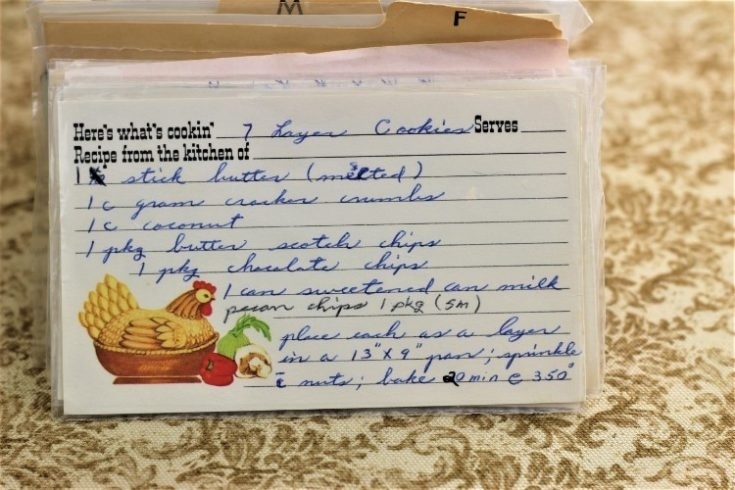 There are lots of fun recipes to read in the box this recipe for 7 Layer Cookies was with. Use the links below to view other recipes similar to this 7 Layer Cookies recipe. If you make this 7 Layer Cookies recipe, please share your photos and comments below!